If you’re new to editing photos or this is your first time using Photoshop Elements, the basic tasks you do the most often are adding photos to the Elements Organizer, editing a photo in the Photo Editor, and posting the edited photo to a Facebook account. You can’t do much in Photoshop Elements until you bring in some pictures to work on. 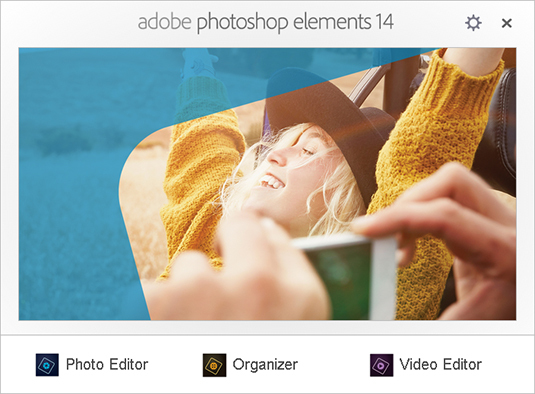 You have many different ways to import a picture into Elements; the following steps show you one way to do it. The Welcome Screen opens. You have two workspaces from which to choose: the Organizer, where you manage and organize your pictures, and the Photo Editor, where you edit photos. Click Organizer to open the Elements Organizer. To import photos, choose File→Get Photos and Videos→From Files and Folders. In the Get Photos and Videos from Files and Folders window, select a folder (alternatively, you can select individual files). 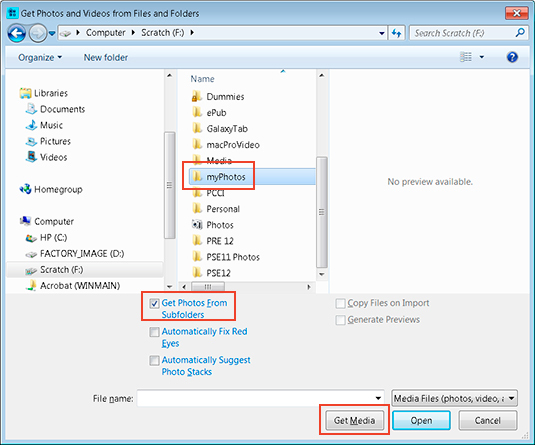 If you have subfolders containing photos, select the Get Photos From Subfolders check box. 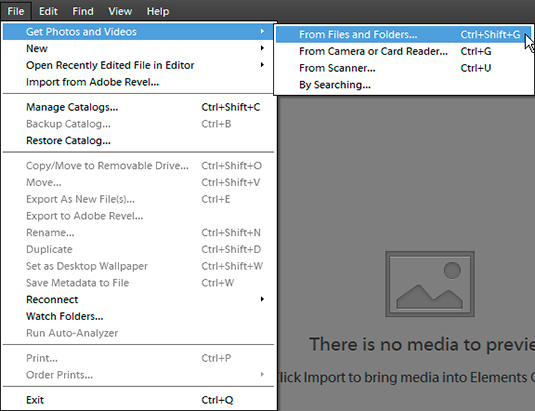 Click the Get Media button to import the photos. You see thumbnail images of your imported pictures. 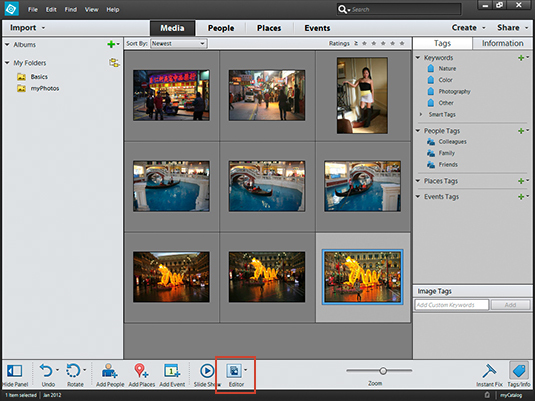 Click a photo you want to edit and click the Editor button at the bottom of the Organizer. 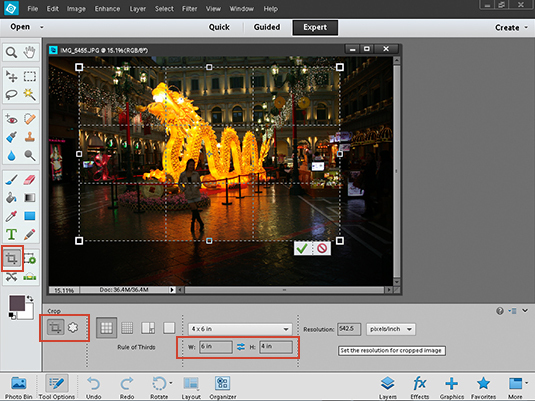 Elements launches the Photo Editor, and the selected photo opens in the editor. Crop the photo by clicking the Crop tool in the Tools panel and dragging a rectangle in the photo. In many cases, you may need to crop a photo. For Facebook pages, a photo size of 6 x 4 (horizontal) or 4 x 6 vertical works well. Enter numbers in the W and H text boxes for the orientation of your photo, such as W = 6 and H = 4. You can move the rectangle around the photo or resize it by moving the four corner handles; however, the size remains the same. Click the green check mark when the crop size looks right. Adjust the levels by choosing Enhance→Adjust Lighting→Levels. 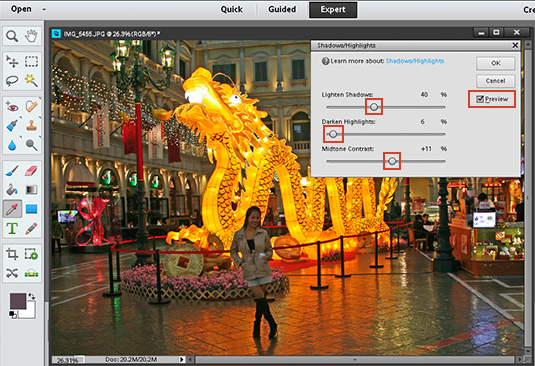 The Levels adjustment improves brightness and contrast. 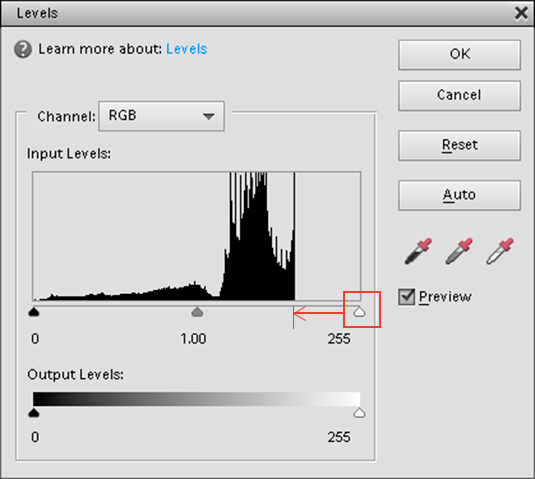 Move the sliders at the bottom of the histogram in the Levels dialog box. Look for where the histogram begins and ends and move the sliders to the beginning and ending points along the histogram. Click OK when the adjustment looks right. Adjust shadows and highlights by choosing Enhance→Adjust Lighting→Shadows/Highlights. Most of your photos will need this adjustment. The Shadow/Highlight adjustment brightens up the dark areas of the photo (the shadows) and darkens a bit the light areas of the photo (the highlights). Be certain the Preview check box is selected so you can dynamically see adjustments as you make them. Move the Lighten Shadows slider to the left to lighten up the shadows. Move the Darken Highlights slider to the right to darken the highlights. Move the Midtone Contrast slider left or right to improve the midtone contrast. You can go back and forth, tweaking your adjustment by moving the sliders. Be careful not to overdo the adjustment. Moving the sliders too far posterizes the image. When you feel the adjustment is right, click OK. Adjust the brightness and contrast by choosing Enhance→Adjust Lighting menu→Brightness/Contrast. 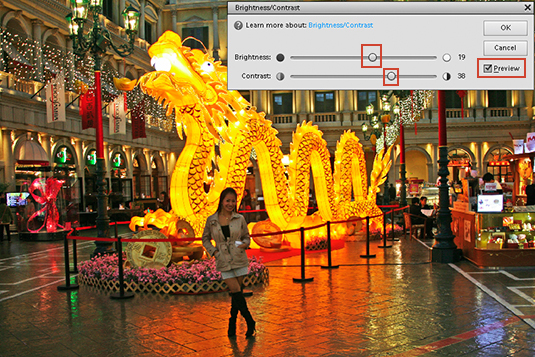 Move the Brightness and Contrast sliders back and forth to improve the overall brightness and contrast in your image. Click OK when you’re finished. 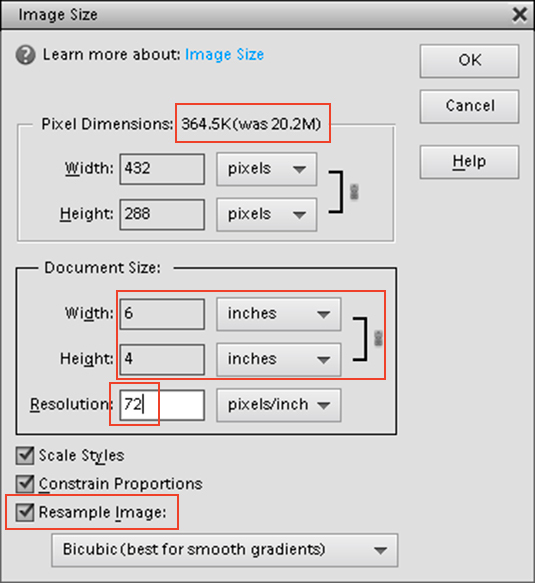 Change the image resolution by choosing Image→Resize→Image Size. You need to set the resolution of your photo to a screen size optimum for web viewing when posting photos on social media sites. 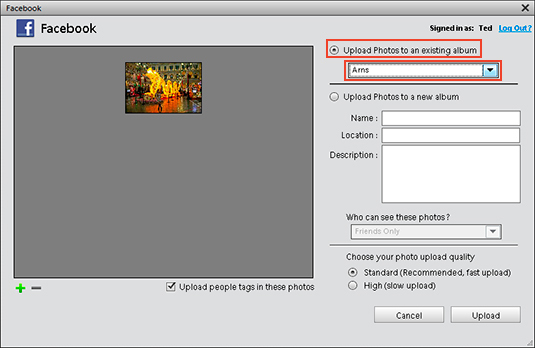 In the Image Size dialog box, select the Resample Image check box. 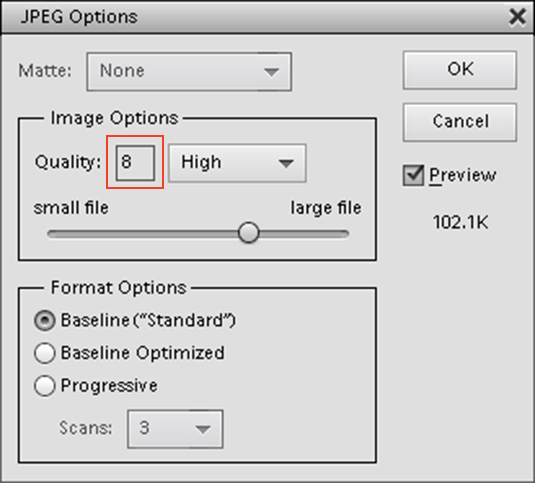 In the Resolution text box, type 72 to change the resolution to 72 pixels per inch (ppi). Click OK, and the photo is at the right resolution for online use. Choose File→Save As and choose JPEG for the file format. Click Save, and the JPEG Options dialog box opens. Set the Quality option to 8 and click OK to save the file. Click the Share button in the Panel Bin to open the Share panel. 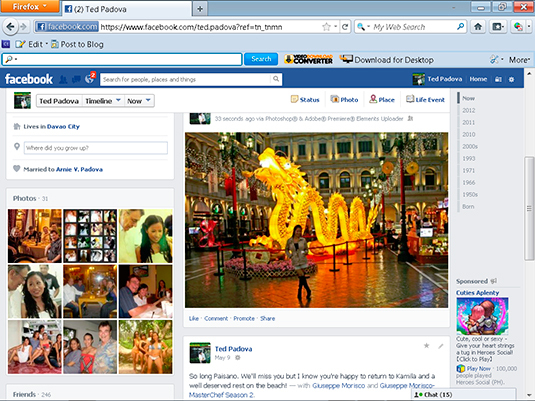 Click the Facebook radio option to open the social media window. 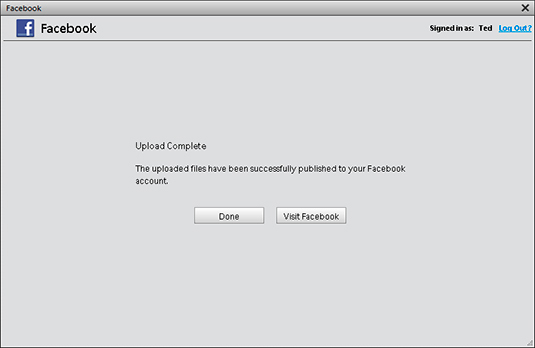 You can upload the photo to an existing Facebook album or to a new album. Select the Upload Photos to an Existing Album radio button and choose the album you want to use for the photo and click Upload. Regardless of whether you upload photos to Facebook, Flickr, Twitter, or another site, Elements prompts you to enter your login information for the respective account. Your photo is then uploaded. When you’re finished, click Done. Visit your social media page and you find your uploaded photo.